My Second Home, established in 1998, is the first of Family Services of Westchester’s town sites providing comprehensive intergenerational adult day program in Westchester County. Housed in the same building as the Mount Kisco Child Care Center (and at another location in White Plains), My Second Home is a unique model that brings children from the Child Care Center and adults together on a daily basis to share in activities and forge relationships that promote mutual understanding and connectivity through their JEWEL (Joining Elders with Early Learners) program. 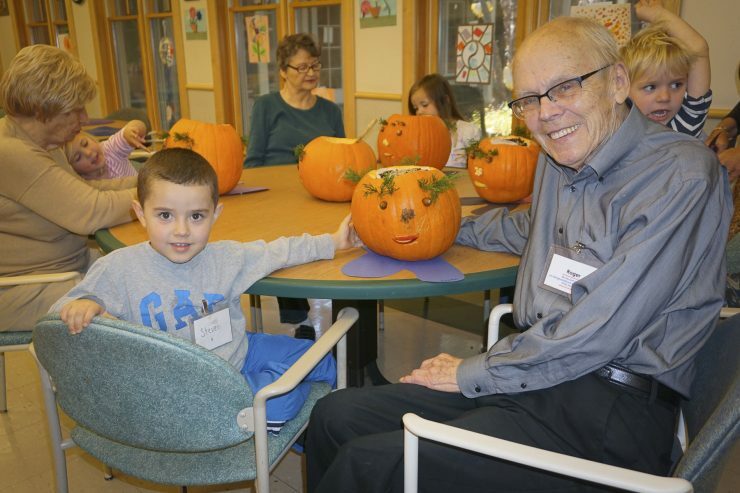 The program offers an affordable alternative to assisted living or nursing home care in a safe, supervised, home-like day care environment that includes stimulating activities, exercise programs for strength and balance, nutrition, personal care and transportation services. On October 10th, 2017, Family Services of Westchester will hold the First Annual Golf & Tennis Outing to benefit My Second Home. Honorees for this event are Peggy & Roger Froehlich. Please refer to the link below for their story.